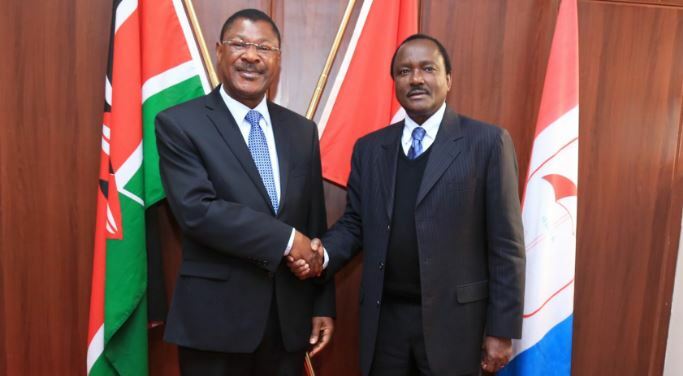 The Orange Democratic Movement (ODM) party has poured cold water on Kalonzo Musyoka’s attempts to reconcile the “noisy and messy” divorce between its party leader Raila Odinga and Ford-Kenya leader Moses Wetang’ula. Mbadi was speaking hours after a meeting between the Wiper Party leader and the Bugoma Senator at the new Wiper offices in Karen, Nairobi on Tuesday. “You are reconciling who and who? I do not see any issue here and, since we have not registered any dispute between us and Ford-Kenya, what then?” posed Mbadi. However, ODM director of political affairs Opiyo Wandayi expressed optimism over Kalonzo’s meeting with Weta.